Ahhhh the sun’s out and thoughts instantly move to holidays (just me?). If the thought of airport queues, hordes of people and traffic jams on the M5 (anyone else had an overnighter on the motorway, with no loo!) is making you want to unpack your suitcase – take a deep breath, grab a cuppa and read on. 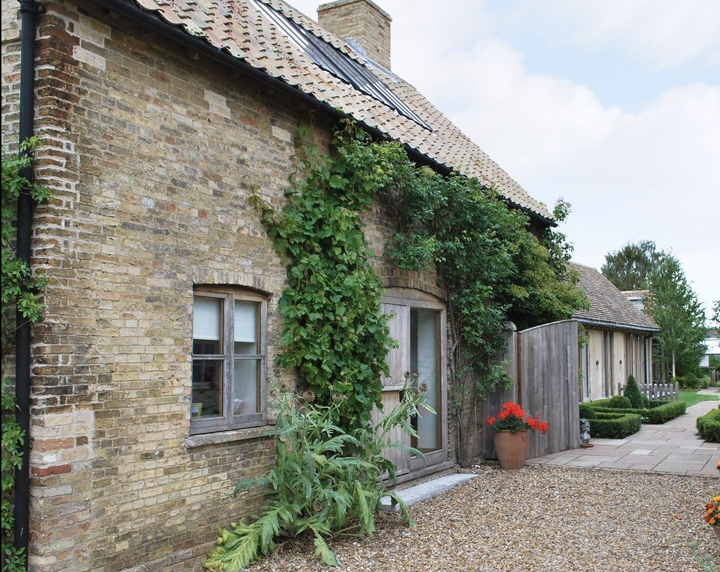 Muddy Cambs has pulled together some tip top holiday cottages that all come with waterside locations – better still they’re in the big sky countryside of Cambridgeshire (a mere hop skip and a jump from Northants. Whether it’s a weekend escape, a few days away with friends or a closer to home holiday this year here are some fab-u-lous options. Impossible to believe you’re minutes from the A1 when you drive through the beautiful stone village of Water Newton – it has Cotswolds stamped all over it but it’s only a few miles west of Peterborough. 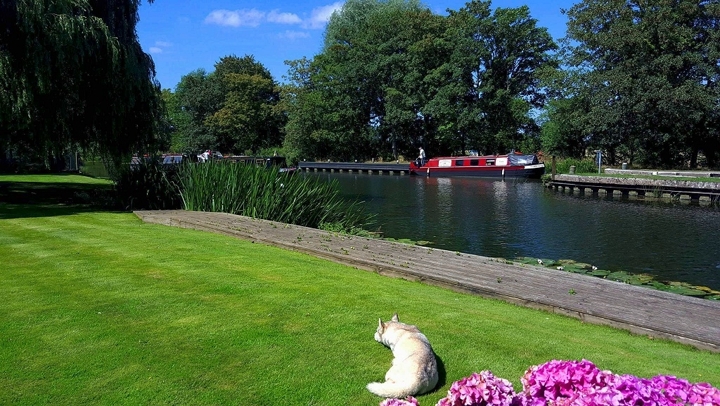 Tucked down a road leading directly to the river you’ll discover the peaceful retreat called River Nene Cottages. Three Grade II listed cottages have been beautifully renovated – think designer wallpapers, stripped beams, contemporary bathrooms and the odd cut glass decanter – bring your own gin though. The cottages are arranged so that the larger two each sleep four people and one flat sleeps 2 – two cot beds are available for younger children. 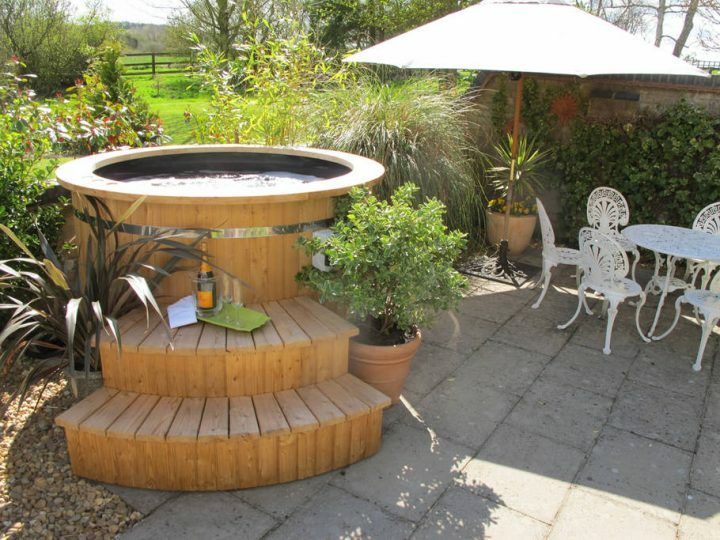 With a stunning garden that stretches down to the river, a summer house on the waters edge just begging for a sundowner, an outdoor heated swimming pool plus all the activities that a river provides this is a slice of England at its best – better still you won’t be clearing sand out of your car for the next 3 months. This cottage is for those that don’t want to pile the car high with holiday toot – you can leave the kitchen sink behind. 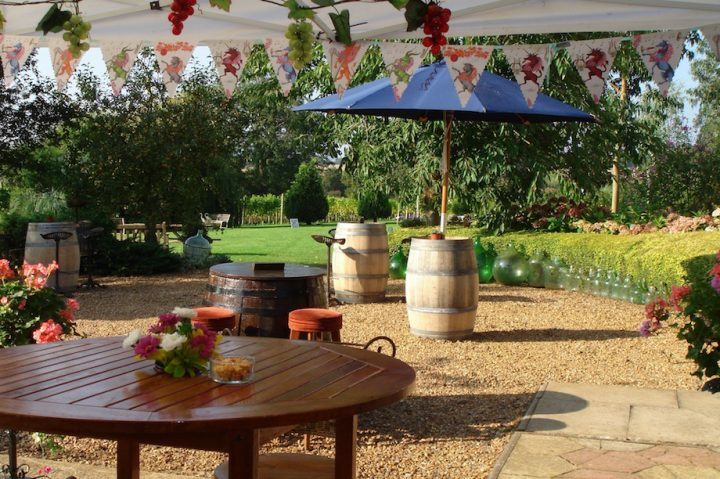 Hidden away in 30 acres of private lakes, gardens and mature woodland, near the village of Maxey south of Market Deeping on the Lincolnshire border is this super equipped holiday cottage. A perfect spot for those looking for action – they’ve got kayaks, rowing boats (life jackets are provided), open water swimming, a tennis court with a football post and a netball hoop, carp fishing and private footpaths that link to public ones – anyone knackered! The house sleeps 8-10 people in four double bedrooms – two travel cots can also be provided. If you’re planning a family house party there’s the option for extra guests to camp in the garden- with access to an outside bathroom. Young kids are covered too – stairgates, bottle sterilisers and heaps of other essential clobber are all provided. Who’s for a game of Swallows and Amazons?! 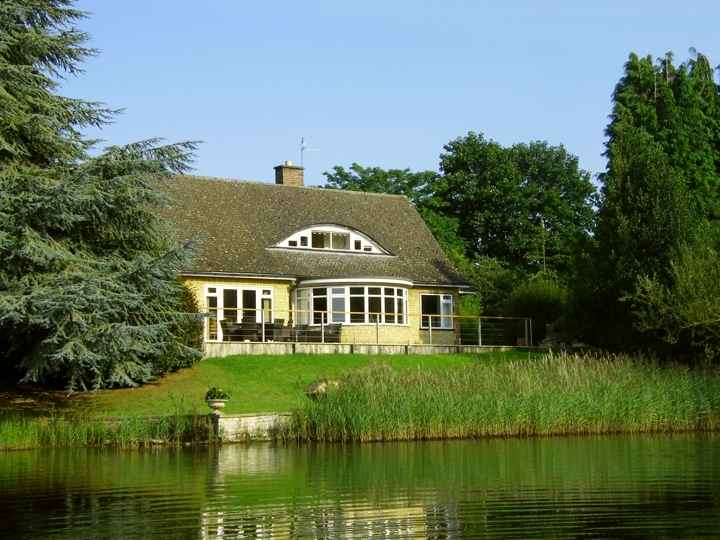 You’re only 10 miles from the centre of Cambridge in this beautifully finished Grade ll listed lodge – it enjoys lovely open views from the living room across its own lake. Park Lodge is a pretty chocolate box thatched gatehouse on the edge of Hemingford Abbots – a large village which, with its nearby twin Hemingford Grey, boasts two pubs, a coffee shop, a village stores and extensive playing fields. Old on the outside – inside it’s all high spec bathrooms and kitchen combined with stylish interiors – it’s the kind of house you just want to hang out in. They’ll take two pooches too and provide dog beds and bowls with several walks where you start by stepping out of the back door. When you’re done with exploring chill out in the Indian Ocean garden furniture or loll in the tree hung hammock. If you’re into outdoor cooking, there is a Big Green Egg BBQ to enjoy some al fresco dining. Once a Victorian cart barn this smart little bolthole is all brand spanking new with high ceiling open plan living, flagged floors, squishy sofas, a blazing woodburner for winter and a cedar hot tub for summer. It’s surrounded by 2 acres of beautiful waterside gardens –this is a labour of love with a river running through, garden sculptures, pretty planting and a tennis court. Inside the living area has been decorated in cool whites and greys, there’s a downstairs double bedroom and a small attic room upstairs with a single bed and space for a cot – it’s cosy but huge thought has gone into the layout and design. It’s the little things that sometimes make a stay more special and here you’ll be welcomed by homemade cake, fresh flowers and loads of logs for the fire. 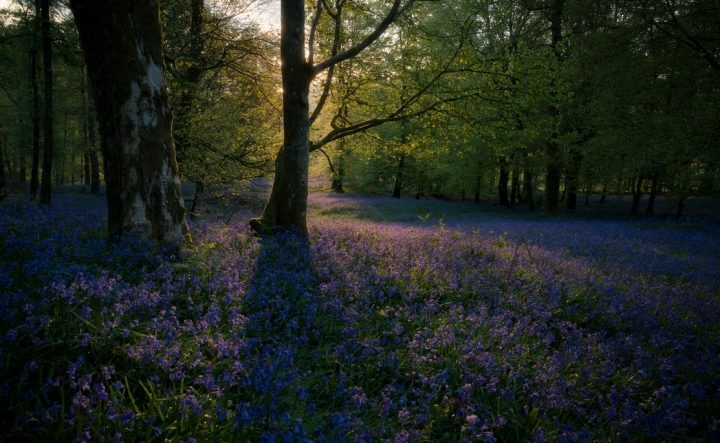 It’s a great spot for exploring – everything seems to be 20 mins away, Cambridge City Centre, Wimpole Hall NT, Wrest Park (English Heritage) and just a little further you’ll find Woburn Abbey and Safari Park, Anglesey Abbey and Hatfield House. 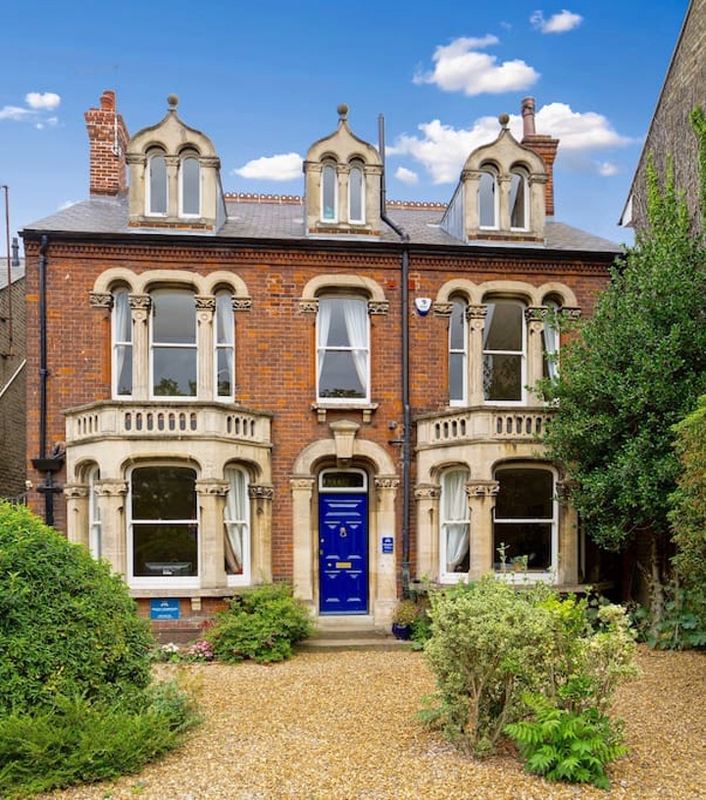 Anything in central Cambridge is under pressure these days and larger holiday cottages are hard to find but I’ve managed to locate a wild card right slap bang in the middle of the city overlooking the beautiful River Cam and Jesus Green. Reach Hall is a vast three-storey traditional Victorian villa which offers spacious and extremely flexible accommodation – offering up to 10 bedrooms and able to sleep a whooping 34 people at a push. The house has recently been renovated and they’ve done it with large families and groups in mind – the bedrooms can offer single or double occupancy, and many of the rooms can cope with up to four people – great for shoving the kids in for a massive sleep over. 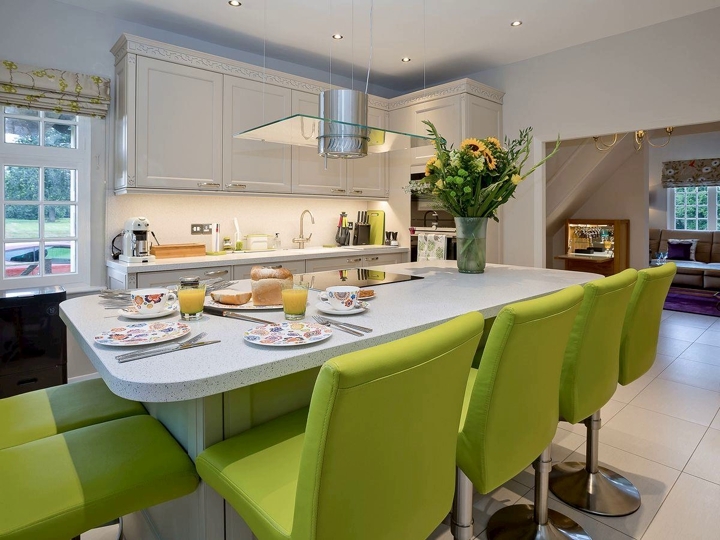 The house is furnished with a modern contemporary style but catering for so many you aren’t going to find little quirks and unusual touches – this is the house to gather a group of friends together and enjoy a holiday in the centre of Cambridge with all that it has to offer. Dump the car and explore on bikes – Cambridge style, or take a punt or kayak up the river – there’s a beautiful trip up the River Cam towards Grantchester – moor up and enjoy a cream tea at the Orchard Tea Gardens reclining in their deck chairs under the apple trees. This beautiful 19th century granary has been converted into a stylish holiday cottage with loads of light, a vaulted ceiling, oak floors and a roaring fire. Situated in the pretty village of Wicken, it’s bang in the middle between Ely, Newmarket and Cambridge – perfect for a cultural explore or some mooching around. 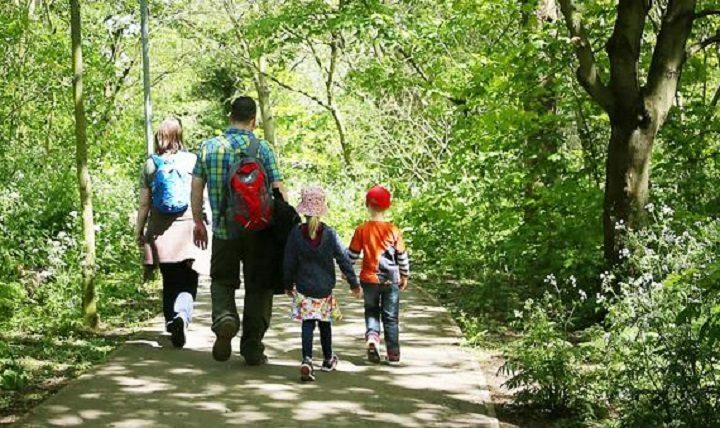 This place is idea if you’re into cycling, exploring waterways, walking and nature watching, as it’s just a short walk from Wicken Fen – the National Trust’s oldest nature reserve and a wetland SSSI. The barn sleeps four in a double and twin room – there’s a slightly quirky layout as you enter the downstairs bedrooms via a separate entrance – it all adds to the charm and has the added bonus of a hot tub in which to relax in the beautiful Japanese-style garden. The pub is only a 100 yards away and you can bring the hound too. It’s more of a grown up pad –it’s not really geared up for younger kids so leave them at home and enjoy some time away.